The paper presents a comparative analysis on identifying groups of meteorological parameters to assess their informational content on the state of the atmosphere in aircraft icing. For the effective remote detection of potential aircraft icing areas it is necessary to upgrade the existing board (active) meteorological radars. Estimating the effectiveness of the resulting passive-active system and the method of detecting dangerous areas is performed by reducing the uncertainty in the transition from one system to another. Entropy is used while assessing the level of uncertainty. The choice of processing algorithm of joint radiometric and radar system for remote detection of aircraft potential icing areas is reasoned. Discriminant functions serve as the basis of the algorithm for icing areas detection. Their relative characteristics are given. The application of non-linear discriminant function to detect icing areas is offered. Keywords: aircraft, flight safety, weather conditions, aircraft icing, joint radiometric and radar systems, JRRS, discriminant function, the algorithm accuracy, detection efficiency. Pervushin R.V. Passive-active radio resources of control meteorological parameters: Dissertation of the candidate of technical sciences. – Vladimir: 2007. 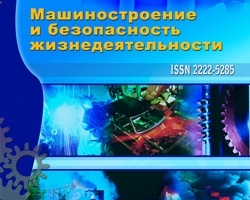 − 151 p.
Abramovich K.G., Vasilyev G.V., Prokhorova V.M. About the prediction of quantitative characteristics of aircraft icing // Proceedings of the Hydrometeorological Center of the USSR. Issue 176. – Moskow: Gidrometeoizdat, 1977. − P.76-85. Vimberg G.P., Tarabukin I.A., Shchukin G.G. Evaluating the effectiveness of the passive-active radar method for determining the average water content of supercooled cloud bands for use in the prediction of possible icing of aircraft // Proceedings of the GGO. Issue 526. − L. Gidrometeoizdat, 1988. − P.49-55. Pervushin R.V. Improve safety of aircraft in adverse weather conditions // Engineering industry and life safety, 2011, № 3. − P.18-21. Ensuring aircraft safety in potential icing conditions, №2 (16) 2013, Pervushin R.V.